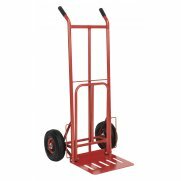 Tubular steel framework with heavy-duty pneumatic tyres allows transport of load over rough terrain. 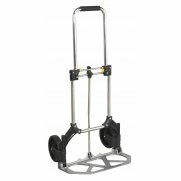 Suitable for use as a traditional sack truck or at 45° with support castors in position. 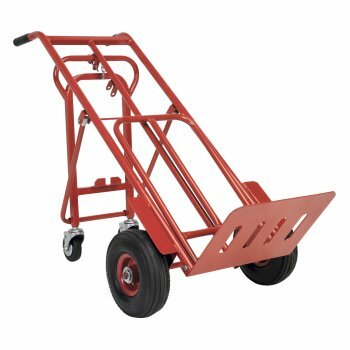 Features fold out load restrainer for use when truck is in horizontal position. Adapts between configurations without need for tools in seconds. 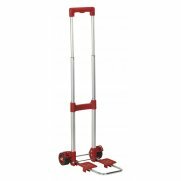 Warranty: 1 YearTubular steel framework with heavy-duty pneumatic tyres allows transport of load over rough terrain. 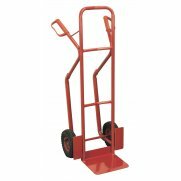 Suitable for use as a traditional sack truck or at 45° with support castors in position. 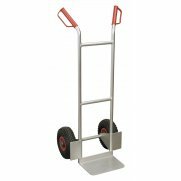 For maximum load carrying capability use in horizontal position. 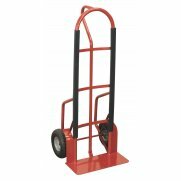 Features fold out load restrainer for use when truck is in horizontal position. Adapts between configurations in seconds.